"The Glory of God is a Human Fully Alive"
The John Wesley Honors College (JWHC) is a Body-of-Christ-centered community of liberal learning, established to model and enrich Indiana Wesleyan's pursuit of excellence in scholarship, character formation and servant leadership. The JWHC thus strives to equip faculty and students to become more fully human in the image of our triune God by pursuing lives of truth, goodness and beauty. The vision of the John Wesley Honors College is to foster a community of faculty, student and alumni servant-leaders who faithfully pursue understanding, wisdom and virtue. Our community engages the best and brightest of our peers globally. But more importantly, we aspire to be kingdom-of-God people who are adept at integrating faith, learning, service and life calling into a Christian life well-lived. 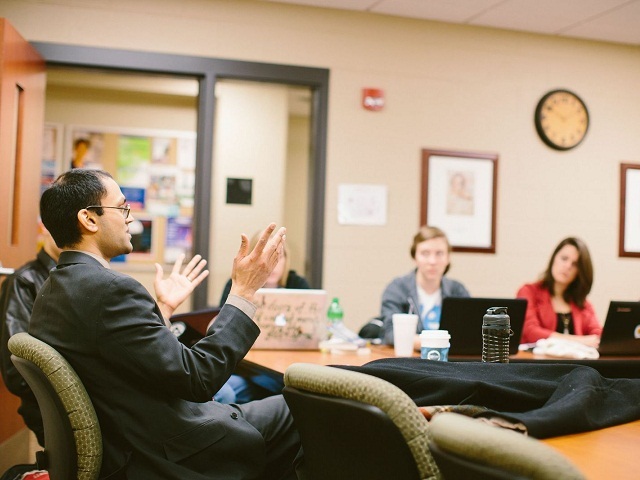 In this way, the JWHC strives to be a nationally recognized leader in collegiate honors education, serving and enriching Church and society as it strengthens Indiana Wesleyan's efforts to be a premier Christian university.